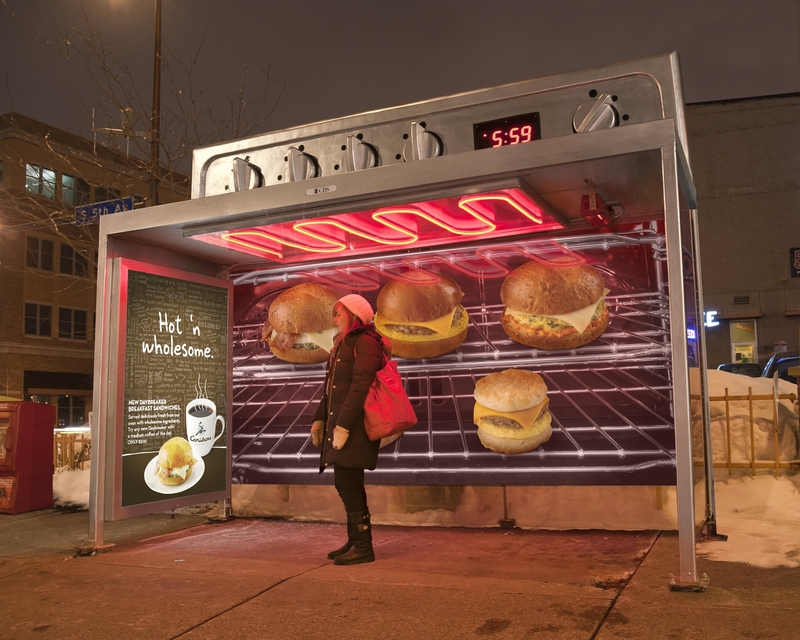 This brilliant execution for Caribou Coffee, Colle+McVoy created transit shelters in Minneapolis that look like ovens, complete with real heaters, to highlight the “Hot ‘n Wholesome” goodness of Caribou Coffee’s new menu items. Just goes to prove that there is still life in well executed none digital executions. Makes us feel warm just looking at it ! We like the oven clock also, which I assume is the real time. 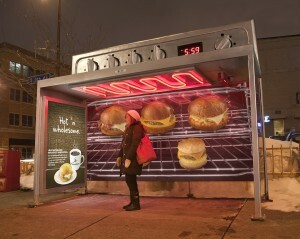 This entry was posted in Marketing and Advertising and tagged advertising, digital signage by Dynamax. Bookmark the permalink.